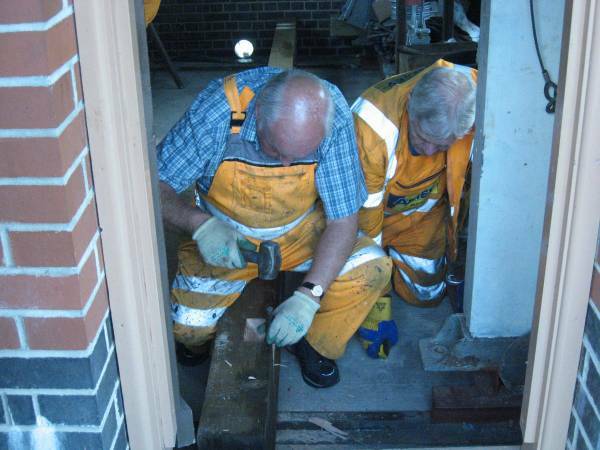 Work on the installation of the lever frame for the 'new'Ashburton Junction Signal Box is forging ahead with the installation of the locking room floor. Original Track layout proposals (subject to HMRI approval). Latest proposal (subject to HMRI approval Adobe® PDF format). Please note that the menus are in Adobe® "pdf" format, Please note that the propsed scheme version C is in Adobe® "pdf" format, so you will need the Adobe® plug-in to read it. If you haven't got this yet then please click on the Adobe® icon above to download it.